The apartment is only 4 years old, is in excellent decorative quality and naturally comes with all the modern conveniences. 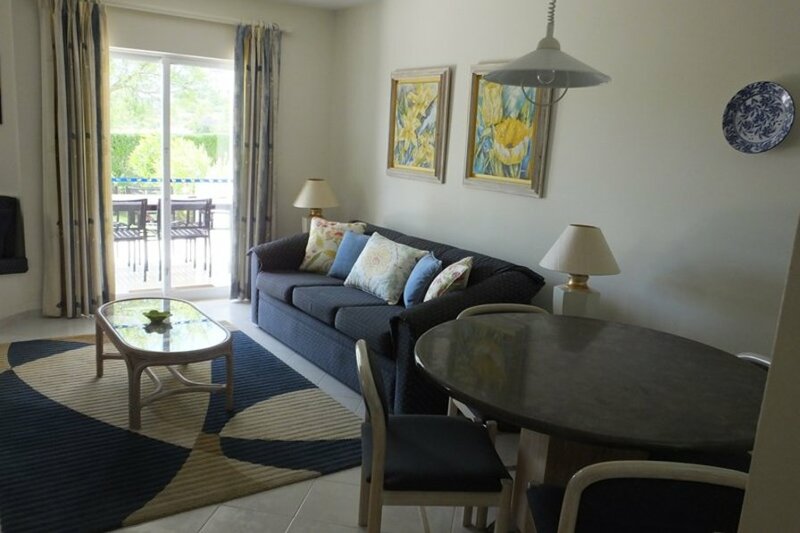 This is classed as a superior apartment by the resort and so has a fully operational kitchen and includes extras such as coffee machine, toaster juicer and microwave. There is also washing facilities drier ironing board and iron and clothes horse. There are marinas in Vilamoura, Albufeira and Lagos and other s dotted all along the coast. In Almancil there is karting for the racers, history and a castle in nearby Silves. If you want a full day out, Spain is only a hour’s drive and the beautiful city of Seville can be reached in just 2 hours 30 minutes.